Networking client ”IPQuisEst” – FOP Shvachko V. V.
The networking client for obtaining the information about owners of the domain names and IP addresses. Screenshot of networking client “IPQuisEst”. 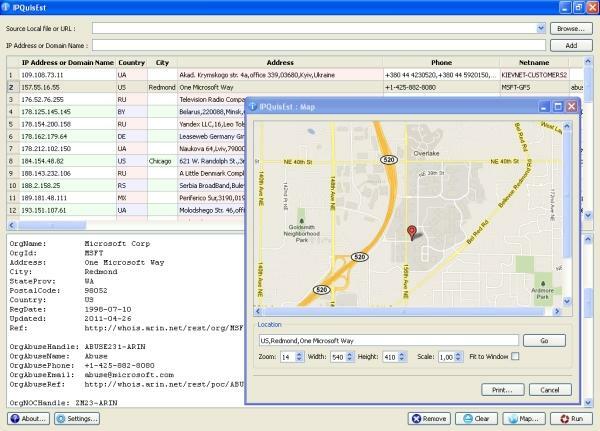 – Showing and processing the electronic Maps with indicating of the detected or entered locations for the source Hosts. Documentation of networking client “IPQuisEst”.